“Qui sibi fidit, dux regit examen,” is a maxim of universal truth. Pococurante, in Candide, was admired for despising Homer and Michel Angelo; he would have gained little distinction by praising them. The judicious application of this rule to society, is the origin of fashion. In despair of attaining greatness of quality, it founds its distinction only on peculiarity. We have spoken elsewhere of those complex and very rare accomplishments, whose union is requisite to constitute a gentleman. We know of but one quality which is demanded for a man of fashion,--impudence. An impudence (self-confidence “the wise it call”) as impenetrable as the gates of Pandemonium—a coolness and imperturbability of self-admiration, which the boaster in Spencer might envy—a contempt of every decency, as such, and an utter imperviousness to ridicule,--these are the amiable and dignified qualities which serve to rear an empire over the weakness and cowardice of men. To define the character of that which is changing even while we survey it, is a task of no small difficulty. We imagine that there is only one means by which it may be always described, viz., that it consists in an entire avoidance of all that is natural and rational. Its essence is affectation; effeminacy takes the place of manliness; drawling stupidity, of wit; stiffness and hauteur, of ease and civility; and self-illustration, of a decent and respectful regard to others. A man of fashion must never allow himself to be pleased. Nothing is more decidedly de mauvais ton than any expression of delight. He must never laugh, nor, unless his penetration is very great, must he even smile; for he might by ignorance smile at the wrong place or time. All real emotion is to be avoided; all sympathy with the great or the beautiful is to be shunned; yet the liveliest feeling may be exhibited upon the death of a poodle-dog. At the house of an acquaintance, he must never praise, nor even look, at the pictures, the carpets, the curtains, or the ottomans, because if he did, it might be supposed that he was not accustomed to such things. About two years ago, it began to be considered improper to pay compliments to women, because if they are not paid gracefully they are awkward, and to pay them gracefully is difficult. At the present time it is considered dangerous to a man’s pretensions to fashion, in England, to speak to women at all. Women are voted bores, and are to be treated with refined rudeness. There is no possible system of manners that will serve to exhibit at once the incivility and the high refinement which should characterize the man of fashion. He must therefore have no manners at all. He must behave with tame and passive insolence, never breaking into active effrontery excepting towards unprotected women and clergymen. Persons of no importance he does not see, and is not conscious of their existence; those who have the same standing, he treats with easy scorn, and he acknowledges the distinction of superiors only by patronizing and protecting them. A man of fashion does not despise wealth; he cannot but think that valuable which procures to others the honor of paying for his suppers. Fashion is so completely distinguished from good breeding, that it is even opposed to it. It is in fact a system of refined vulgarity. What, for example can be more vulgar than incessantly talking about forms and customs? About silver forks and French soup? A gentleman follows these conventional habits; but he follows them as matters of course. He looks upon them as the ordinary and essential customs of refined society. French forks are to him things as indispensable as a table-cloth; and he thinks it as unnecessary to insist upon the one as upon the other. If he sees a person who eats with his knife, he concludes that that person is ignorant of the usages of the world, but he does not shriek and faint away like a Bond-street dandy. If he dines at a table where there are no silver forks, he eats his dinner in perfect propriety with steel, and exhibits, neither by manner nor by speech, that he perceives any error. To be sure, he forms his own opinion about the rank of his entertainer, but he leaves it to such new-made gentry as Mr. Theodore Hook, in his vulgar fashionable novels, to harangue about such delinquencies. The vulgarity of insisting upon these matters is scarcely less offensive than the vulgarity of neglecting them. Lady Frances Pelham is but one remove better than a Brancton. A man of fashion never goes to the theatre; he is waiting for the opera. He, of course, goes out of town in the summer; or, if he cannot afford to do so, he merely closes his window-shutters, and appears to be gone. Fashion makes all great things little, and all little things great. It is commonly said, that it requires more wit to perform the part of the fool in a farce than that of the master. Without intending any offence to the fool by the comparison, we may remark, that qualities of an elevated character are required for the support of the role of a man of fashion in the solemn farce of life. He must have invention, to vary his absurdities when they cease to be striking; he must have wit enough to obtain the reputation of a great deal more; and he must possess tact to know when and where to crouch, and where and when to insult. Brummel, whose career is one of the most extraordinary on record, must have exercised, during the period of his social reign, many qualities of conduct which rank among the highest endowments of our race. For an obscure individual, without fortune or rank, to have conceived the idea of placing himself at the head of society in a country the most thoroughly aristocratic in Europe, relying too upon no other weapon than well-directed insolence; for the same individual to have triumphed splendidly over the highest and the mightiest—to have maintained a contest with royalty itself, and to have come off victorious even in that struggle—for such an one no ordinary faculties must have been demanded. Of the sayings of Brummel which have been preserved, it is difficult to distinguish whether they contain real wit, or are only so sublimely and so absurdly impudent that they look like witty. We add here a few anecdotes of Brummel, which will serve to show, better than any precepts, the style of conduct which a man of fashion may pursue. We have mentioned that this dreaded arbiter of modes had threatened that he would put the prince regent out of fashion. Alas! for the peace of the British monarch, this was not an idle boast. His dangerous rival resolved in the unfathomable recesses of a mind capacious of such things, to commence and to carry on a war whose terror and grandeur should astound society, to administer to audacious royalty a lesson which should never be forgotten, and finally to retire, when retire he must, with mementos of his tremendous power around him, and with the mightiest of the earth at his feet. Inventive and deliberate were the counsels which he meditated; sublime and resolute was the conduct he adopted. He decided, with an originality of genius to which the conqueror of Marengo might have availed, that the neck of the foe was the point at which the first fatal shaft of his excommunicating ire should be hurled. With rapid and decisive energy he concentrated all his powers for instantaneous action. He retired for a day to the seclusion of solitude, to summon and to spur the energies of the most self-reliant mind in Europe, as the lion draws back to gather courage for the leap. As, like the lion, he drew back; so, like the lion, did he spring forward upon his prey. At a ball given by the Duchess of Devonshire, when the whole assembly were conversing upon his supposed disgrace, and insulting by their malevolence one whom they had disgusted by their adulation, Brummel suddenly stood in the midst of them. Could it be indeed Brummel? Could it be mortal who thus appeared with such an encincture of radiant glory about his neck? Every eye was upon him, fixed in stupid admiration; every tongue, as it slowly recovered from its speechless paralysis, faltered forth “what a cravat!” What a cravat indeed! Hundreds that had, a moment before, exulted in unwonted freedom, bowed before it with the homage of servile adoration. What a cravat! There it stood; there was no doubting its entity, no believing it an illusion. There it stood, smooth and stiff, yet light and almost transparent; delicate as the music of Ariel, yet firm as the spirit of Regulus; bending with the grace of Apollo’s locks, yet erect with the majesty of the Olympian Jove: without a wrinkle, without an indentation. What a cravat! The regent “saw and shook;” and uttering a faint gurgle from beneath the wadded bag which surrounded his royal thorax, he was heard to whisper with dismay, “D—n him! what a cravat!” The triumph was complete. For the truth of another anecdote, connected with this cravat, we have indisputable evidence. A young nobleman of distinguished talents and high pretensions as to fortune and rank, saw this fatal band, and eager to advance himself in the rolls of fashion, retired to his chamber to endeavor to penetrate the method of its construction. He tried every sort of known, and many sorts of unknown stiffeners to accomplish the end—paper and pasteboard, and wadding, shavings, and shingles, and planks,--all were vainly experienced. Gargantua could not have exhibited a greater invention of expedients than he did; but vainly. After a fortnight of the closest application, ardor of study and anxiety of mind combined, brought him to the brink of the grave. His mother having ascertained the origin of his complaint, waited upon Brummel, who was the only living man that could remove it. She implored him, by every human motive, to say but one word, to save the life of her son and prevent her own misery. But the tyrant was immoveable, and the young man expired a victim of his sternness. When, at length, yielding to that strong necessity which no man can control, Brummel was obliged, like Napoleon, to abdicate, the mystery of that mighty cravat was unfolded. There was found, after his departure to Calais, written on sheet of paper upon his table, the following epigram of scorn: “STARCH IS THE MAN.” The cravat of Brummel was merely--starched! 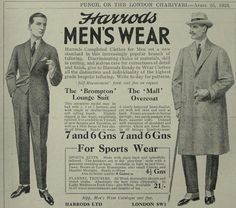 Henceforth starch was introduced into every cravat in Europe. Brummel still lives, an obscure consul in a petty European town. Physically there is something to command our admiration in the history of a man who thus lays at his mercy all ranks of men,--the lofty and the low, the great, the powerful and the vain: but morally and seriously, no character is more despicable than that of the mere man of fashion, Seeking nothing but notoriety, his path to that end is over the ruins of all that is worthy in our nature. He knows virtue only to despise it; he makes himself acquainted with human feelings only to outrage them. He commences his career beyond the limits of decency, and ends it far in the regions of infamy. Feared by all and respected by none, hated by his worshippers and despised by himself, he rules,--an object of pity and contempt: and when his power is past, his existence is forgotten; he lives on in an, oblivion which is to him worse than death, and the stings of memory goad him to the grave. The devotee of fashion is a trifler unworthy of his race; the mere gentleman is a character which may in time become somewhat tiresome; there is a just mean between the two, where a better conduct than either is to be found. It is that of a man who, yielding to others, still maintains his self-respect, and whose concessions to folly are controlled by good sense; who remembers the value of trifles without forgetting the importance of duties, and resolves so to regulate his conduct that neither others may be offended by his stiffness, nor himself have to regret his levity. Live therefore among men—to conclude our homily after the manner of Quarles—live therefore among men, like them, yet not disliking thyself; and let the hues of fashion be reflected from thee, but let them not enter and color thee within.